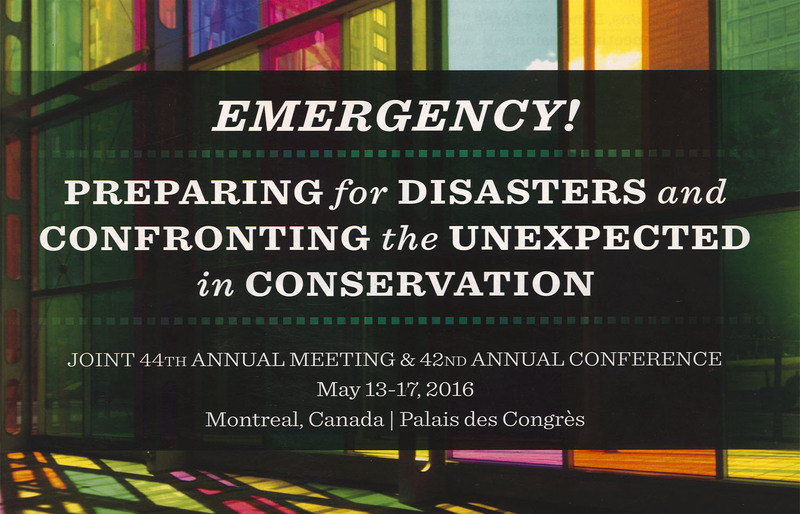 In May, I attended the annual conferences of the American Institute for Conservation (AIC) and Canadian Association for Conservation (CAC), a large, joint conference in Montreal. Coinciding with the 50th anniversary of the Florence flood, a disaster which inspired many people to become conservators, the theme was disaster preparedness. Here are a few of the highlights. Cover of the conference program.